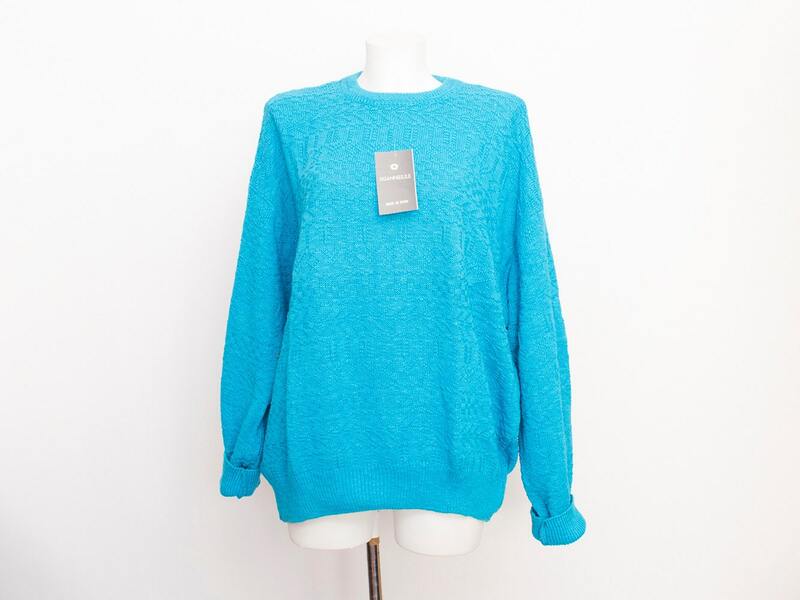 Dead Stock vintage sweater in blue Awesome geometrick knited texture pattern. 80's wide sleeves fitted at the wrists and wide at the bust and fitted at the waist. round collar. Size L, depending on how you would like the garment to fit. Perfect for oversized look.